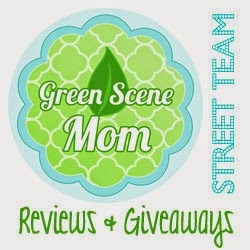 This review is going to be a great one for my Eco moms. This is going to be a cloth pad review. I have been really getting into these now that I am collecting cloth diapers. So I was sent over 3 of their pads for review. Blossom pads are great for the mom that's wants to be a little bit greener and it doesn't help that they are super comfy also. They sent me their Intro to cloth set which comes with 3 different sized pads for $10.00. Have you always wanted to try cloth menstrual pads but just weren't sure? Blossom Pads now offers and Intro to Cloth Kit that gives you a variety of sizes and absorbency for you to sample without breaking the bank! Pads are chosen at random and may or may not include the prints shown above. This kit may only be purchased once per customer. Their pads are one of the best design that I have come across. Their fabrics are so cute as well here are the ones they sent me. They also come cutely packaged.